I hope you all had an enjoyable Christmas. We had a great time, but up until the last couple of days I've felt like I was on the Christmas voyage of the Titanic. And I hit the iceberg when I got sick. It was nothing serious just sinus ache, sore throat, cold symptoms and feeling tired. The being tired part was what slowed everything down. I went outside long enough to take the snow photos that were in the last post and came right back in. The first four photos were taken 48 hours before Christmas. I have three trees up, and the main family room tree only had 3 decorations on it until Christmas morning. This is our sentimental tree...ornaments made by loved ones and friends that are no longer here so maybe that's why this one was saved for last. Nice memories but sad to work on at the same time. Over half of the presents weren't wrapped. One of many gifts that didn't get finished. My family helped which I'm thankful for. I stood in the kitchen Christmas Eve and said, "I wonder what Martha Stewart is doing tonight." Next year I'm going to be better organized. I'm trying to come up with some sort of plan. Christmas comes December 25th every single year, and next year I'll be ready. Here is a tree that did get finished. I spent a lot of time decorating and doing crafty things like this knitting needle ornament Christmas tree. I really enjoy this part of Christmas. I loved putting this Pepsi crate Christmas centerpiece together. And the tomato cage Christmas tree was a fun project to put together. My wonderful husband cooked our Christmas turkey on the grill. This was the first time we have tried this, and it turned out pretty good. Last year for Christmas dinner I cooked a big pan of lasagna and a big pan of chicken alfredo along with garlic bread, salad and pie for dessert. That was easy and really cut down on time spent in the kitchen on Christmas Day. What do you have for Christmas Dinner? Here is one of my early Christmas presents. I have heard that The Fabric of Society by Annette Gero is going to be out of print soon, so I ordered my copy. 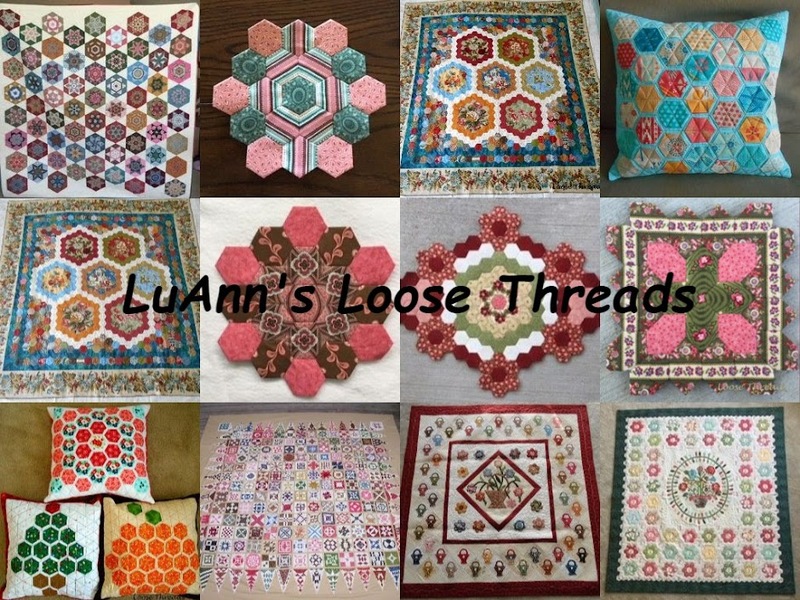 There are beautiful quilts along with patterns in this book. I did get some other quilty/crafty things for Christmas. As soon as I take photos, I'll post them. Oh....and if you are one of those super organized people that has everything done weeks before Christmas, I'd love to know your secret! We were in the blizzard area that you've been hearing about on the weather reports. It started snowing and blowing here sometime between Christmas night and Wednesday morning and continued through the day until that evening. We had a little over 7 inches of snow here, it was cold, and there was a lot of blowing and drifting. My tomato cage Christmas tree that I wrote about here was one of the casualties of the storm. The pot was full of dirt, so it must have taken a big gust of wind to take it off the step and over. It looks bad, but after we got it upright again, there was only one broken ornament on the garland. I was going to take an "after" photo, but my fingers were too cold to push the buttons on to the camera. You can see one of the big drifts in this photo. The big blizzard of '78 lasted a lot longer and there was twice as much snow. Still it was really nice to be inside during this one. We had a nice Christmas and hope you did, too! At this holiday season, I hope you are surrounded by loving family and friends, a comfortable happy home, and peace and happiness in your lives. It has been a real pleasure to get to know so many of you. I wish you and your family a very Merry Christmas. When I found this Pepsi crate for sale, I knew I had to buy it. I just knew there would come a time when I would find a use for it. I've made this centerpiece using canning jars and pine cones that my brother-in-law brought me along with some greenery and candles. It love how it glows after dark. My daughter and I painted the pine cones with white paint and then sprinkled glitter on before the paint dried. We also painted some Christmas bulbs with Mod Podge and sprinkled glitter on them. I used Epsom Salt in the bottom of the jars to look like snow and to raise the height of the candles. I added pine sprigs, pine cones, a few red berries and some of the glittered light bulbs. I love the rustic look of this Pepsi crate. I'm linking up with Metamorphosis Monday over at Between Naps on The Porch blog today. I took photos of some of my Christmas quilts the other day when I unpacked them and thought I would share photos with you. The Dear Jane blocks in this one were from a swap a few years ago. The feathered star center is a block that I made for a round robin, and I decided to use it to make a medallion quilt with the Dear Jane blocks instead. This wall hanging is from my Thimbleberries days. The gold around the bow is couched on by machine. I really like it when I use one of the bells and whistles on my machine that seldom gets used. This is my nine patch and candy cane quilt. These blocks were part of way over 100 big nine patches that a friend and I sewed to be made into charity quilts. These red and green ones ended up in the stack together, and I remarked that they would make a neat Christmas quilt. So in a few days, my friend, Gini, came over with this quilt top. I appliqued the candy canes in the solid squares and corners, quilted and bound it. This is a special quilt that brings back happy memories. This is my Christmas present quilt made from charm squares. The tutorial is on my side bar and can be found here. I quilted a simple paisley design all over the wall hanging and did a swirl in the small outside border. This is the hanging sleeve that I put on. I have almost finished a tutorial for the sleeve and will post it in a day or two. This is my Dear Jane Christmas signature quilt. This was the first year that we swapped signature blocks with Christmas fabrics on the corners. So since it was a "first" I thought I should get in on this swap. I'm not even sure if that swap still happens. Does anyone know????? This is one of my antique quilts made by my Grandmother that I never met. She died in 1923, so this quilt is pretty old. There is a bit of damage in places, but overall this quilt is in pretty good condition. I hope all of your Christmas preparations are coming along and that you are still finding a little time to stitch. This is my Nine Patch and Applique' quilt finished. This one was a long time in the making, but it is one of my favorites. The borders are hand appliqued'. I machine quilted it in a diagonal grid and echo quilted around the applique'. The quilt is approximately 60 inches square, and I really like using it on my dining room table. The pattern for this quilt is in Quick and Easy Scrap Quilts by Leisure Arts (1996). I didn't start the quilt the year the book was published, but it has been a UFO for a long time. I'm linking up with Link A Finish Friday over at Richard and Tanya Quilts blog. I hope you are taking a little time out to stitch today. Usually at our retreat, there is someone that comes up with something that "catches on" whether it be a piece of fabric that the rest of us can't live without, or a pattern, or just an idea of something that a lot of us want to do. Well this past retreat, it was a jelly roll race. On Thursday evening after being treated to a great meal provided by Lolly's over in the downstairs of the Davis Mercantile building, several of us decided we were going to race. We had planned this ahead of time, so of course we had to shop for a jelly roll. I'm not sure how this happened, but each of us ended up buying a different jelly roll, so it was fun to see the finished quilt tops at show and tell. I had quite a bit of technical difficulty when I first started. I sewed the first five strips together at right angles and then I got all that tangled up in my machine thread. It took 4 of us to get my mess untangled and to rip out my mistakes so I could keep racing. I swear I watched the You Tube video of how to do this. This is my top made from Moda's Marmalade. This is Gay's quilt made from Moda's Vintage Memories line. Cheryl's is made from pretty blue and tan batiks. Fiona's is made from American Jane. Pam's is made from Blitzen. This photo is blurry, and I'm not sure of the line of fabric or the maker. Is this Nancy's maybe? Rosemary made all 3 of these Dr. Suess quilts during the retreat even though she came from the other side of the room to help me untangle my mess. Kim's made from a honey bun (1 1/2" strips). I don't remember the fabric line, but it turned out to be a nice sized table runner. We had lots of fun and laughs, and if you have a jelly roll laying around I recommend that you watch the video and give this a try.